To parry a punch means to deflect it away into another direction. It’s more effective than blocking as you use your opponent’s momentum against himself. 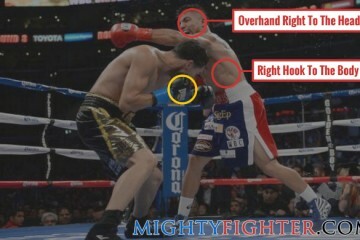 Your vision is not impaired because you don’t have to keep your guard up high to block punches. 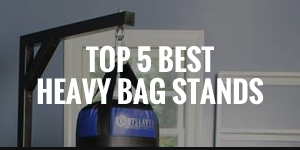 You don’t have to take punches on your arms or gloves. Leaves your opponent off-balance and open for counters. The harder your opponent throws a punch, the more effective your parry becomes. 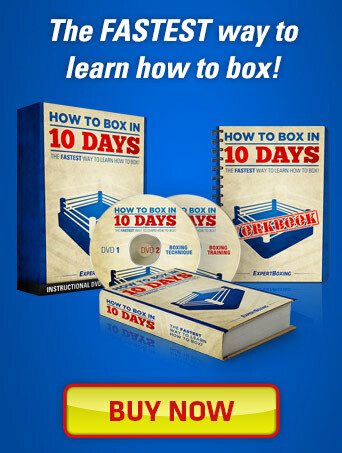 If you want to learn more boxing fundamentals, I highly recommend the How To Box In 10 Days course, which shows you step-by-step all the boxing basics for offense and defense. Please note: The following points are made assuming that you and your opponent are both the same stance. 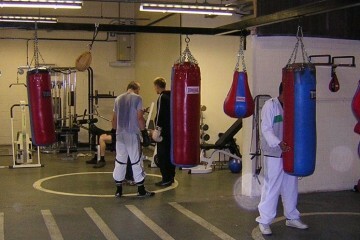 The down parry is used for parrying jabs and crosses. It’s a very light downward tap to your opponent’s hand and you’ll find that when your opponent is parried this way, the motion of his body will send him leaning in, which leaves him off-balance and open for a counterpunch. 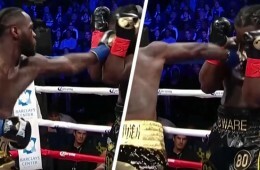 To parry a jab with the down parry, you must use your rear hand. 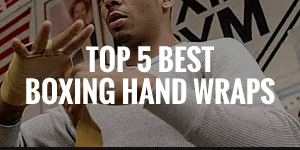 Your lead hand should be guarding your chin. As you parry the jab downwards, you can quickly counter with either a cross (like clip on the right) or a jab or your own. 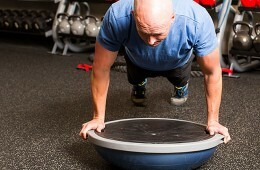 It’s a lot more difficult to time the cross but if you want to use the down parry, use your lead hand. 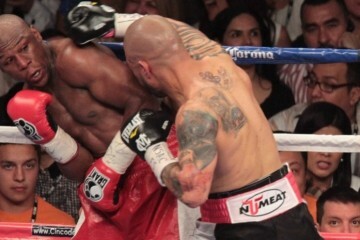 Again, make sure that your rear hand is guarding your chin just in case your opponent throws the lead hook. Since the cross is a power punch, you may want to take a small step back or lean back slightly as you’re parrying. 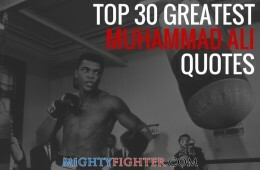 He will fall in and you can then counter with the cross, lead hook or a jab. The side parry is very similar to the down parry but instead of parrying downwards, you have to push your opponent’s hand to the side. 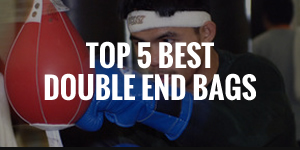 Doing to successfully will leave your opponent in an a position where he cannot follow up with another punch. 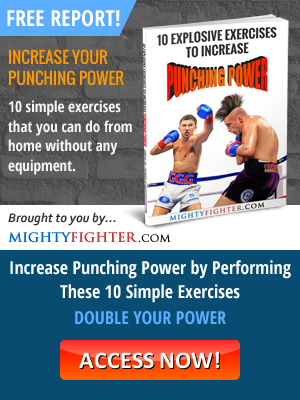 This is a great opportunity to counterpunch, especially to the body. 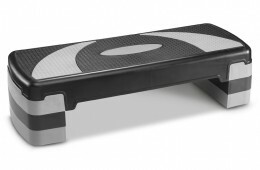 Using your rear hand, parry your opponent’s jab to the outside of your lead foot. So if you’re an orthodox fighting an orthodox, you would need to parry his jab to your left. 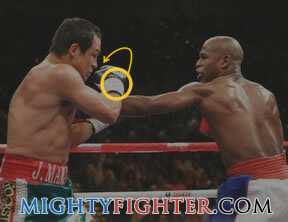 This will leave the lead side of your opponent’s body completely open so you can throw a rear hook to his body. 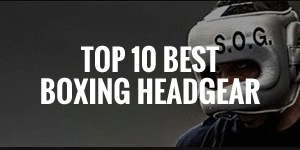 You can also throw the cross or jab to his head, and your lead hook / uppercut will be effective since he’ll be falling into the direction of that punch. Using your lead hand, parry your opponent’s cross to your inside. So if you and your opponent are both orthodox, then parry his cross to your right side. This time, it will leave the rear side of your opponent’s body exposed, so you can throw your lead hook to his body or head. 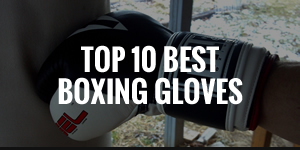 You can also throw a quick one-two (jab and cross) or throw them independently. The loop parry is used to parry straight punches to your body. 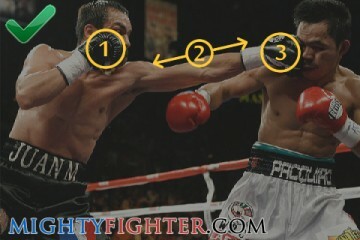 In a looping type motion, you use your hand to push your opponent’s punch to the side, away from your body. 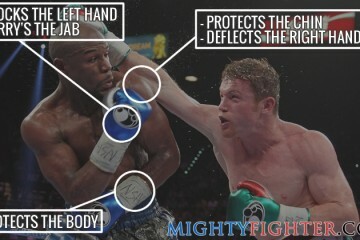 When your opponent throws a jab to your body, use the palm of your rear hand to push his jab away from your body. 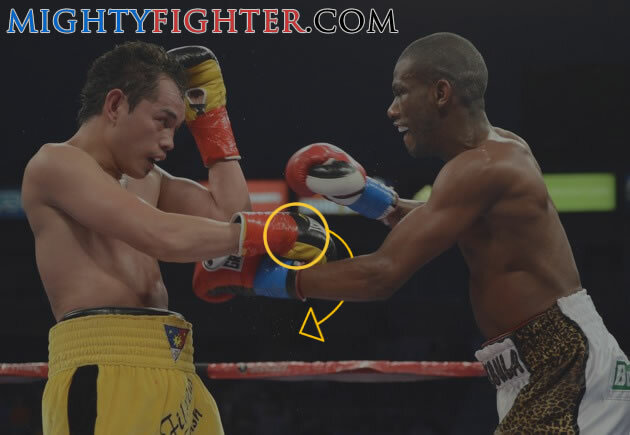 So if you’re both orthodox, you would push his jab to your right side which leaves him open for a counter-jab or if you’re quick enough, you can land a lead uppercut. 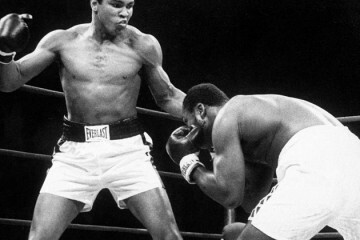 You must be careful because even though you’ve parried the jab away, your opponent will still have his rear hand free to fire a cross or overhand. 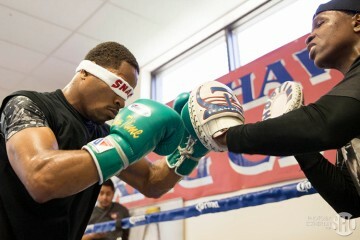 Use the palm of your lead hand to push your opponent’s jab away to your left (if you’re both orthodox). You can then counter with the cross. Only Parry Straight Punches: You cannot parry hooks. 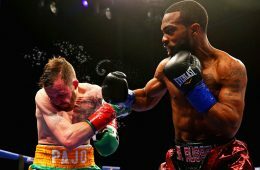 The easiest punch to parry is the jab because it’s easier to time and predict, so focus on this before you try to parry the cross. Don’t Keep Hands Too Close to Your Face: If your hands are too close to your face, then you won’t be able to parry and counter. 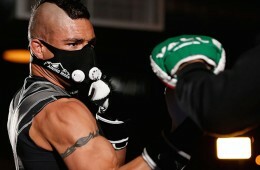 Also, if your gloves are attached to your face, when they get hit, they will automatically push your head back. 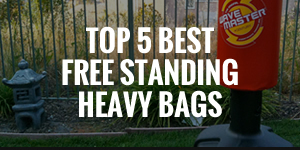 Your lead hand should be around 6 inches from your face and your rear hand, 2 inches. Don’t Parry With the Wrong Hand: Ensure that you always parry with the right hand and in the right direction. Failure to do so will leave you an open target for your opponent’s other hand. Don’t Parry Too Many Punches Consecutively: You don’t have to try and parry every straight punch thrown in your direction. It’s not even recommended because you will eventually mis-time one and get caught. You should only parry a single punch at a time. Be Subtle: Parrying is based on subtle motions of your hand. Don’t overdo it by slapping your opponent’s hand with too much force. 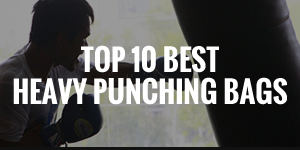 It’s not necessary because a tap is all that’s needed to send the punch flying off course. If your opponent throws a feint and your hand moves too far from its position, then your opponent will spot this and try to take advantage. Parry Then Counter: When you successfully parry a punch, if your opponent is wide open, then make sure that you immediately follow up with a counterpunch. Combine the Parry With Other Forms of Defense: If you notice that your opponent is throwing straight combinations often, such as the double/triple jab followed by the cross, then parry the first punch but slip the second and then bob and weave to get away from the rest. Don’t forget that parrying is only one form of defense which should be combined with other forms. Get a partner to throw single jabs at you. Practice the down parry first, followed by the side parry and then the loop parry. Practice countering off the parry of jabs. When you’re comfortable with parrying jabs, start parrying crosses. 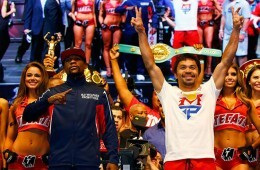 Lastly, you should parry one-two (jab, cross) combinations. 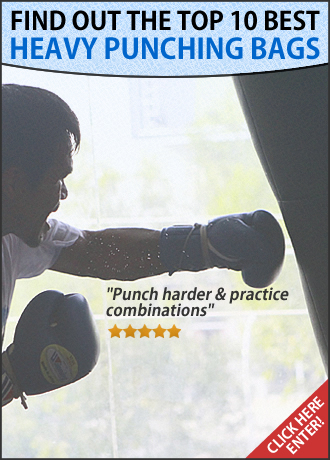 It’s also a good idea to practice combining parries with slipping punches and bobbing and weaving. If you want to be great at parrying, make it a consistent routine so that you instil the habit.